Love Temple on Necker Island BVIs. With its charming name, the Villa Love Temple on Necker Island provides an individual or couple with one of the most appealing spots to enjoy a visit to the British Virgin Islands, and is the brainchild of Sir Richard Branson. While this one bedroom retreat offers unprecedented scenery, the utmost in privacy and wonderful décor and design, it also extends some of the most gracious amenities imaginable, too. As part of Temple House, it gives you freedom to roam the entire island. This is significant when you consider that the amenities and facilities include amazing gourmet dining areas, a staff or more than 90 individuals eager to meet your needs, two infinity swimming pools, a beach front Jacuzzi and a second Jacuzzi on the rooftop of the main house, a diversity of water sports (and all of the gear needed to enjoy it) and two tennis facilities. Visitors enjoy transfers from Tortola or Virgin Gorda, and staff is on call at all times to supply whatever is needed. Your private villa features a large stone terrace furnished for outdoor dining and lounging. It opens into your enormous bedroom with direct views of the sea. You also have your oversized ensuite bath with outdoor shower, and a large and private garden from which to savor the sunrise, sunset, and starry skies. 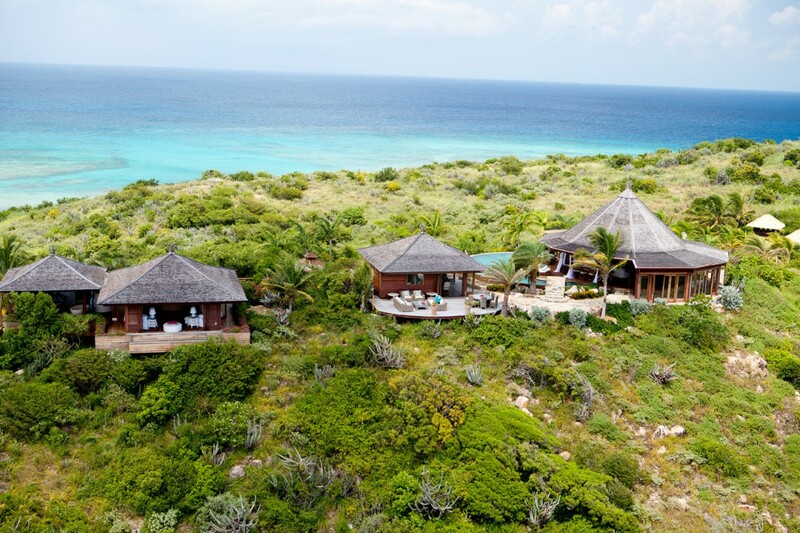 With its privacy and luxurious comforts, the Villa Love Temple on Necker Island is an idyllic retreat for one or two. Your access to the stunning array of bars, lounges, activities, restaurants, pools and services ensure that your stay is unforgettable. If the idea of a visit to a private island retreat replete with upscale facilities and some of the most thoughtful activities appeals to you, then this is the one for your next visit, your honeymoon or that long-awaited escape from the wear and tear of daily routine. Bedroom 1: Bedroom with king-size bed, A/C, spectacular views, private garden and en-suite bathroom with bathtub, shower, vanity and WC. 2 guests maximum.